The NMC Barbecue is one of northern Michigan's most popular and enduring traditions. The annual event brings thousands of people to NMC's main campus for an old-fashioned picnic and a chance to see their community college. 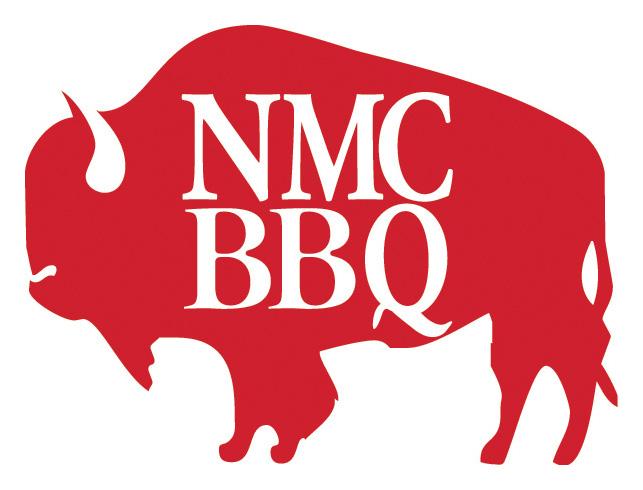 Visit your community's college for the 64th annual NMC BBQ! 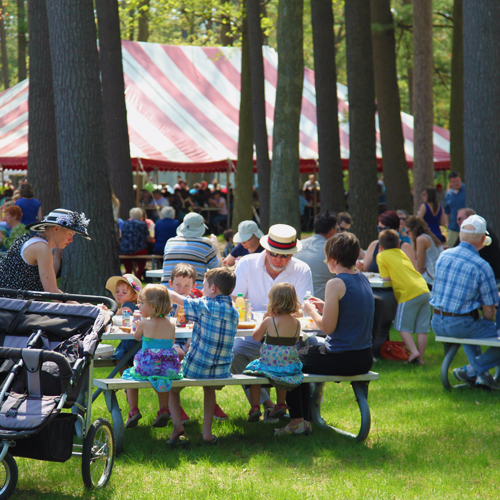 The 'Picnic Under the Pines' is Sunday, May 19 from 11 a.m.–5 p.m. on the Front St. campus of Northwestern Michigan College. Advance tickets through this page are only $6 plus a $1.25 online service fee. Tickets can be ordered individually, on behalf of a local business or organization, or in support of the Traverse Bay Area Intermediate School District (TBAISD). Advance tickets can also be purchased for $6 in person at all Oleson's Food Stores, on NMC's main campus at Founder's Hall (#8 on the main campus map) and at many financial institutions. Tickets are $8 at the gate on the day of the event. Ticket sales help support learning at the college through projects like these. Your entry includes a picnic lunch and many events and activities. View a map of NMC's main campus here. Library open from 11 a.m. to 5 p.m.
Children’s book readings: The National Cherry Queen will read aloud at 1 p.m. and 2 p.m. Kids Craft Table for decorating bookmarks from noon to 4 p.m.
Update your contact info for a chance to win a prize! Demonstrations: NMC Tae Kwon Do Club, 1-3 p.m.
NMC Barbecue Invitational Car Show: Vote for the People’s Choice Award! Free activities provided by Michigan Army National Guard: Inflatable attractions and more! Chemistry Laboratory HS 215, 11 a.m.-3 p.m. Dental Lab HS 110 & 112, 11 a.m.-2 p.m.
GT Astronomical Society, 11 a.m.-4 p.m.
Physics Laboratory HS 211, 1-4 p.m.
Science classroom display HS 111 & 117, 1-4 p.m. Bookstore sale, logo gear and apparel, 11 a.m.-5 p.m.
Housing open for tours, 11 a.m.-5 p.m.
For large corporate orders please contact Paul Schoppe for mailing options via email at [email protected]. Read more about the event here, in a feature story from MyNorth.